This is a lovely piece of fossil jewellery. 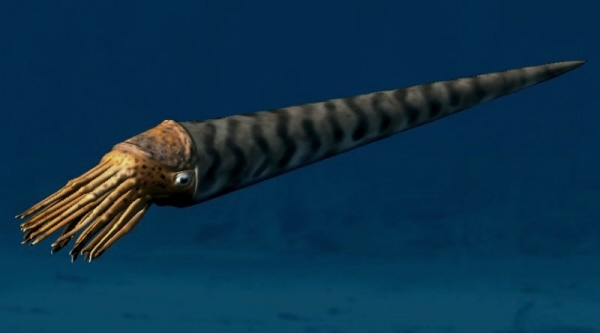 The Orthoceras was a type of prehistoric squid and lived between 400 and 500 million years ago in the sea – but were dug out of the Atlas Mountains in Morocco. 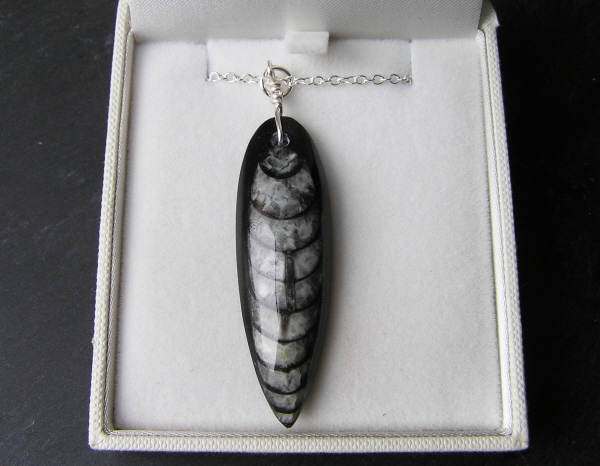 This Orthoceras sits in the black matrix and has been skilfully carved into a bullet shape measuring roughly 3cm long - then strung from an attractive 18 inch solid silver curb chain. The necklace will be sent in a padded jewellery box and complete with a signed certificate of authenticity with full details about these amazing fossils.